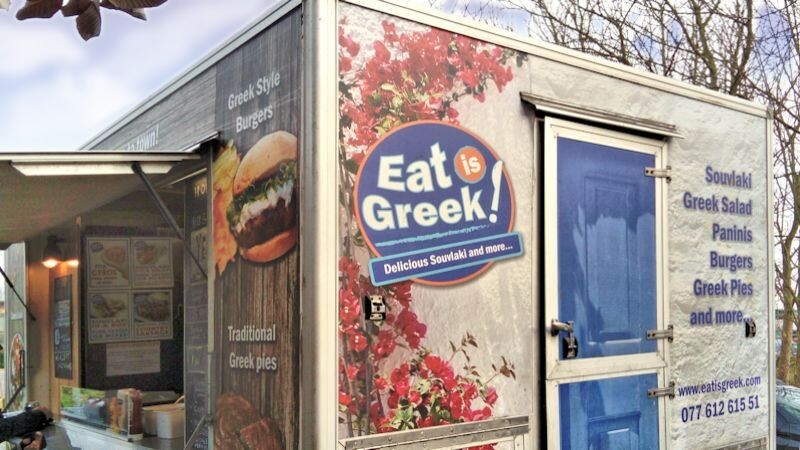 Eat is Greek is a street food vendor, bringing the delicious flavours of northern Greece to Milton Keynes. Our food is cooked fresh, and key ingredients are brought in from Greece to make the flavours and textures authentic. The menu includes a range of dishes encompassing everything from Greek Salad, with fresh feta cheese and sun-ripened olives, to fabulous winter-warmer dishes like Souvlaki (Greek style kebab). Also a favourite of the DinnerData editorial team is the Gyros (pronounced Yeeros), thinly sliced chicken or pork – or mixed if you prefer – which manages to be tender and crispy at the same time. Lighter and softer than many alternatives, the Greek style pita bread makes for a great finish to a very tasty, and eminently affordable mediterranean meal.